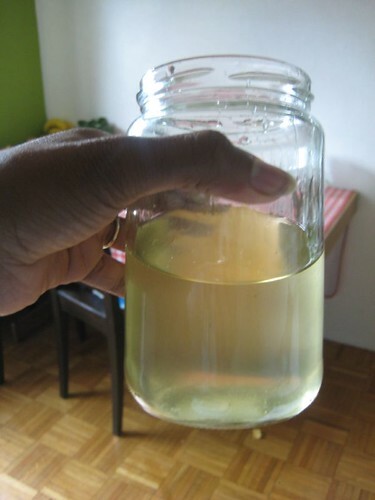 I made fir needle syrup this summer. I'd never had it but apparently it is a specialty here in Slovenia. 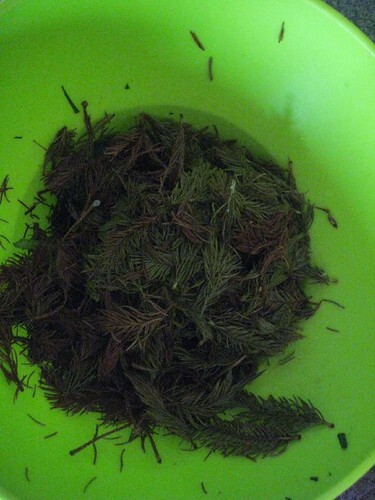 On a recent camping trip, my guy went hiking through the woods and came back with a bag full of fir needles. 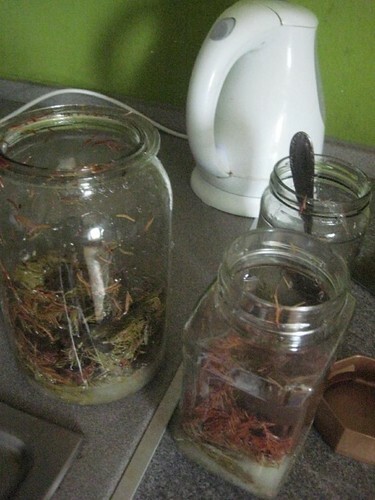 Once home, I layered fir needles and sugar in jars, covered the mouth of the jar with saran wrap, screwed on the caps, and then left the jars in the hot summer sun for 2-3 months. When I opened the jars the smell was joyous. The syrup smells and tastes like winter and Christmas and holiday time and happiness. I strained the syrup into clean jars. A bit of sugar was hardened at the bottom of the jars so I used boiling water (both in and outside the jar) to work that sugar out and strain it. 8 jars produced 3 large jars of syrup. We are mostly using this syrup as sweetener for herbal tea, but I also had a couple glasses of pine soda using a bit of syrup and selzer. 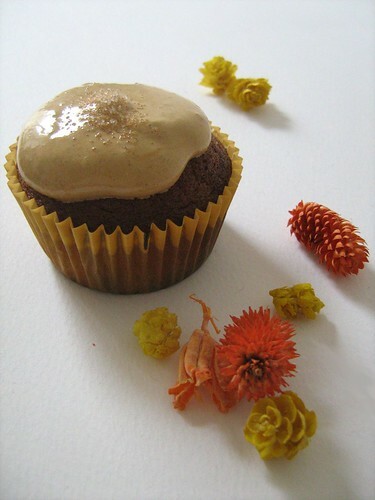 I also found an interesting recipe using similar sort of syrup Orange Cupcakes With Green Pine Needles Frosting. Look how yummy they are. Must try! Is there a better time of the year to collect the pine needles? My father lives on two acres of heavily wooded land (mostly pines) and I would be interested in making this at some point. He collected them in the summer (July), which was good because they had two months to sit in the sun and turn brown and melt the sugar. you are right. things get lost in translation here. i made the correction. Does it matter what kind of pine tree? What's showing in the picture looks kind of like fir, or maybe juniper. Around here, I mostly have a choice between white pine or yellow pine. it turns out it is fir! i made a mistake. not sure if the others would work. i imagine so. that looks like it would be a bizarre taste experience. is it possible for something to taste like christmas? i'm not sure i know what pine even tastes like. hmmm. certainly interesting, though, and very, very neat! You've never sucked on pine leaves? I hear they're good for vitamin C. Very much tastes like Christmas! I'll look forward to trying this. Thanks, OP! I'd never heard of this and I found it really interesting. So I mentioned it, and linked to it in my morning post. it turns out it is fir. something got confused in translation between me and my guy. i've corrected the post. Wow, this is really neat! I have never heard of this before, but I am intrigued! Something to do with my Christmas tree this year when I'm done with it? Haha. Re: cupcakes--the flavor of pine works nicely with dark chocolate; I bet fir would too. Oooh, that's neat and unique. Clear Creek Distillery, here in Portland, OR USA, makes a Douglas Fir eau de vie (http://en.wikipedia.org/wiki/Eau_de_vie). It is quite amazing. http://clearcreekdistillery.com/other.html (scroll down). Here in this region of the world (former Yugoslavia) those sorts of brandies are very popular. Here in Slovenia, "eau-de-vie" is known as šnopc (bastardisation of the word schnapps) or žganje and are made with many herby things and the abundance of apples and or pears around here. could you post a follow up explaining how to make the fir syrup? Pretty please with.... fir syrup on top?!!? you just pour in about an inch-thick layer of needles, then an inch thick layer of sugar and then needles and then sugar and on and on until the jar is full. make sure to press down on the needles so the jar is packed tight. leave in the sun for two months. strain syrup into new containers. if you want you can use hot water in and outside of the jar to pry out any sugar that is stuck. the syrup should keep for up to six months in the fridge. I can't decide if that would be a glass full of awesome and win, or like gnawing on sweetened shrubbery.